This page is dedecated to genral comic knowledge. This knowledge can help one see what devices comic book companies use to make their comics intresting. Most heroes are given powers whether it be because of an accident or because of fate. Some examples are all the Green Lanterns, Spiderman, The Fantastic Four, Plastic Man, Captian America, The Incredible Hulk, and Dardevil. Some heroes though are born with powers. 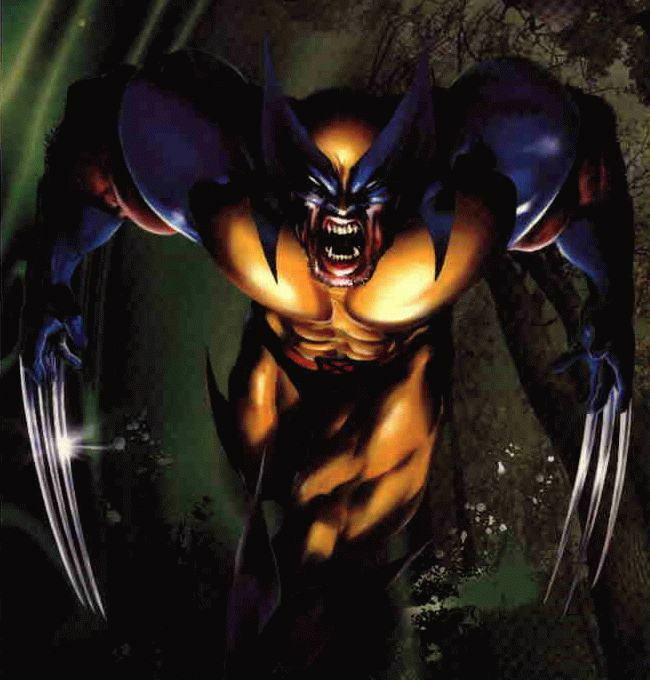 Examples include all the X-men and most of their villians as well. Some heroes use magic as well. Now some of these heroes can only use certian types of magic while others have a range of spells at their disposal. Some heroic mages are Marvels Dr. Strange, Clea, The Scarlet Witch, and Dr. Druid, and DC comics Dr Fate,and Witchfire. Some villians know how to use magic as well. 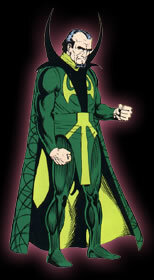 Examples are DC Comic's Felix Fraust and Marvel's Baron Mordo. Most of the rest of the superpower lot is filled by aliens that either have their powers because they are aliens or because earth is diffrent from their world. 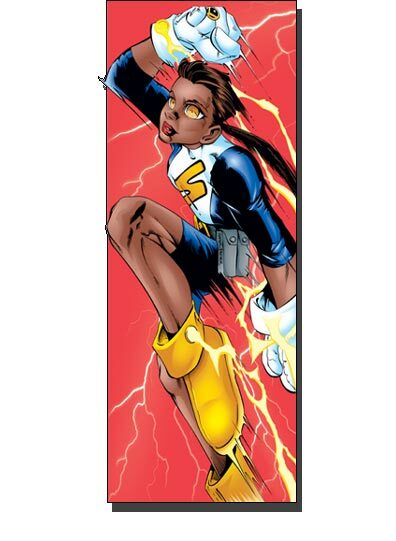 Examples include DC comics Superman, Martian Manhunter, The Legion of Superheroes Marvel comics Kree, and Skrull. Speaking of Aliens some whole races of aliens have gone against earth in comics or atleast have tried to stand up against earths heroes. Some of these include Deamonites, Skrulls, Brood, Dominators, and Decepticons just to name a few. Other alien races have proven to be allies of earth some of which have come to the aid of the heros of earth on numerous ocasions. These include Autobots, Shi'ar, The Gods of New Genisis, and the Kheribim. 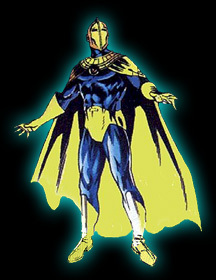 Some comic heroes and villians are given mythological names since they are reputed to be said god or deity. Some though are given these names because it just suits them. 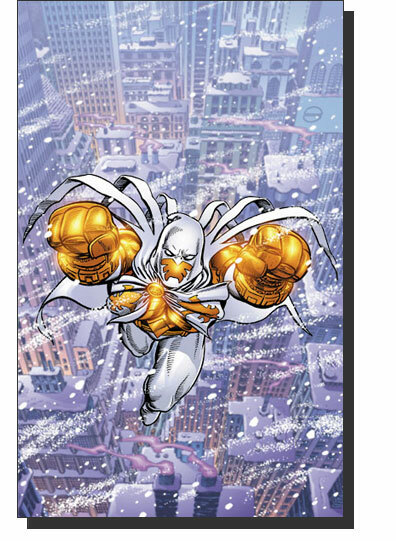 Exanples incude Marvel's Thor,and Hercules,and Dc Comic's Azrael whose name is that of the angel of death. Some heroes surprisingly have families and have pased the torch down to them some times after they retire or after they die. 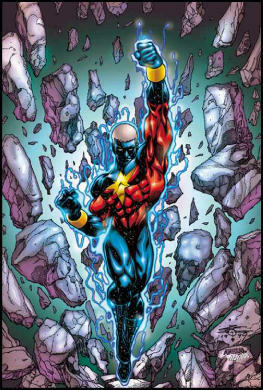 Some heroes that do have heroic families include Marvel's Captian Mar-Vell who passed his torch on to his son. There are very few people that have families that produce a line of heroes infact the only family exanple that has produce a wave of heroes to date even with all the diffrent time lines going around In DC is the Flash family starting with The second and third Flashes Barry Allen and Wally West who's actually Barry's Nephew. This line goes down to even the Legions XS who is related them though it may not look like it. Some character's pass the torch down to people who were total strangers to them at first. 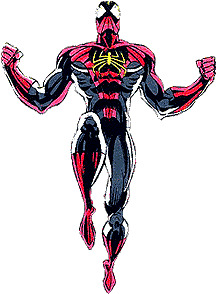 Two such examples are Spider Woman this is the name of 3 seprate individuals none of which were related. Batman was also a name passed down in Batman Beyond as Bruce passed the torch to a newly aquired assistant. Some chacacters though change their uniform to confuse people into thinking there may be more than one person behind the mask. Most of the time it usualy the same person. The costume may also be alterd to suit a purpose or to convey that the owner has got new powers. Examples include Spiderman, Superman, Batman, and Ironman among others. Some Beings though while they are the same in spirit change forms totaly altering their apperances. Good examples of such beings are the Transformers themselves as they have changed tremendously over the course of years from their original and numerous forms to that of Armada which has lesser transformers in diffrent and new forms.Optimus Prime the leader of the Autobots And Megatron the Leader of the Decepticons have had many faces over the years. Spiderman and Superman have also gone through some big transformations as well. Some Characters haven't changed forms or uniforms that much yet have changed teams. Examples include Marvel's Hulk, She-hulk, and Hawkeye. Some heroes have gone through so many changes through out the years it's hard to keep up with. Examples include Marvels Warbird (formerly Binary/Ms.Marvel 1/Lady Marvel) who's been a Starjamer and is currently an Avenger, and Bruce Banner whose personalites have resulted in varrious "Hulk" incarnations, DCs Hal Jordan who went from being the Green Lantern Corps star member to destroying it as Phallanx to becoming the new Specter. With the addition or subtraction of heroes through the years teams have changed some times for the better sometimes it wasn't so good.Some examples of teams that have changed alot over the years include The Avengers, The Justice League of Americ (JLA), X-men, Legion Of Superheroes, and the Justice Society amonge others. Now some characters have even switched sides from good to bad. 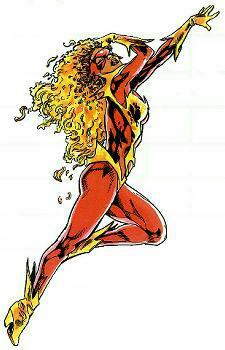 More often than not this is a temperary change and is assosicated with a hero gaining more power than s/he normaly weilds thus leading towards the curruption of said power.Some examples of said characters are Parallax, and the Dark Phoenix. Some villains have changed their ways. They may not be true heroes in the sense that they started out that way, and most have a long way to go before they can reach retribution they have tried to do the right thing. Some examples of such villians that have at least tried to go straight include Marvel's Venom, and most of the Thunderbolts, and DCs Heatwave among others. Now most people may not think it happens in comics, but death is a part of comic character's life as well. Some of the more normal people that have died include Qwen Stacy and Uncle Ben Parker of the Spiderman line. Some Heroes did die as well one of the more human examples of this is the 2nd Robin Jason Todd. Some super powered heroes have died as well. 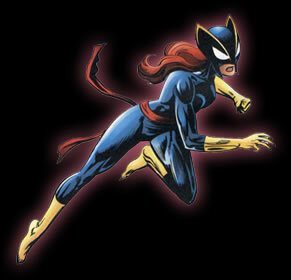 These include Marvel's Captian Marvel 1, and Scarlet Spider. Villians die as well though some still pop up from time to time. Some that have died include Marvel Comics Doctor Octopus 1, and Tarantula 1, DC Comics Clayface 2. Very few heroes have gained powers by coming back from the dead. 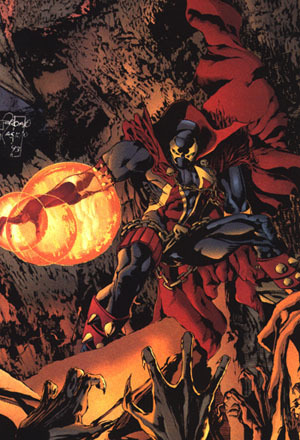 Spawn is one such example. Some heroes haven't died but rather vanished into obscurity. These heroes were one shots that didn't really cut it and are left behind in the void. Some of these Include Marvel's Slingers, Displaced Paranormals, Plasmer, Spellbinder, DCs Supermen of America, Team Titians,Firebrand, Alpha Centurian, and Xero just to name a few. Some villians were one shot wonders as well. Marvel's Scorpia, Lazurus and DCs Warp, and Plasmus to name a few. Diffrent comic heroes and villians have had diffrent powers here are some of the examples of the more widely used powers. 5.Elemental Control (Fire, Water, Wind, Eath, Electicity). 8. Animal Powers (Controling animals, being animal like or transforming into an animal). These are the superpowers that aren't as frequently used as people may think. These are little twists that keep some of the comics fresh. All characters and symbols are trademarks of their respected companies, this page is in no way trying to dishonor these characters.